This dental office has been established since 1964, where 3 generations of families have been treated for their dental needs. Dr. Wilfred Yu received his Doctor of Dental Surgery at the University of Toronto in 2001, and took over the practice from his mentor, Dr. Egon Nikolai, in 2004 . Dr. Yu practices all aspects of general dentistry, but he also has a keen interest in implant and cosmetic dentistry. Dr. Yu is a perpetual learner. He is currently a member of the BC Institute of Oral Implantology, Advanced Orthodontics for the General Pracitioner study club, and he has also completed his Level 3 training at the California Center for Advanced Dental Studies (CCADS is a premier cosmetic hands-on course for dentists who want to implement smile makeovers in their clinic). During his spare time, Dr. Yu enjoys shooting digital photography, playing tennis, carving eggs and most importantly, spending time with his family. He is also a youth counsellor at his community church. 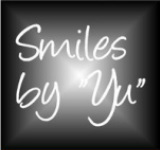 Book your appointment today and see what "Yu" can do for your smile! Our friendly and experienced staff members will be looking forward to welcoming you. Call 604-434-9141 to book an appointment.